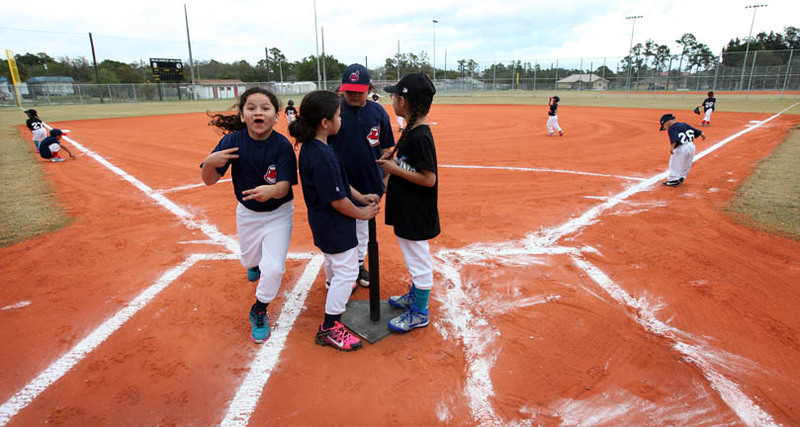 BIG CYPRESS — There was likely no better way to debut the newly remodeled and expanded Billie Johns Sr. Ball Field on Big Cypress than with an inaugural game that guaranteed just about everyone hit, ran and scored. The Feb. 26 contest started 45 minutes late and lasted two innings. It was heralded a success as both teams left the field squealing victory. 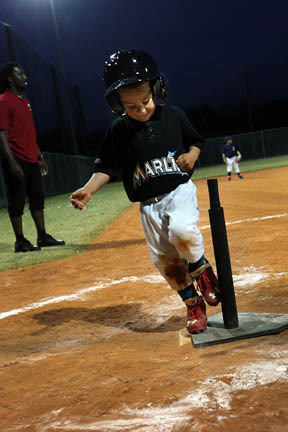 T-ball always ends happily, according to the Big Cypress Recreation Department employees who serve as coaches. 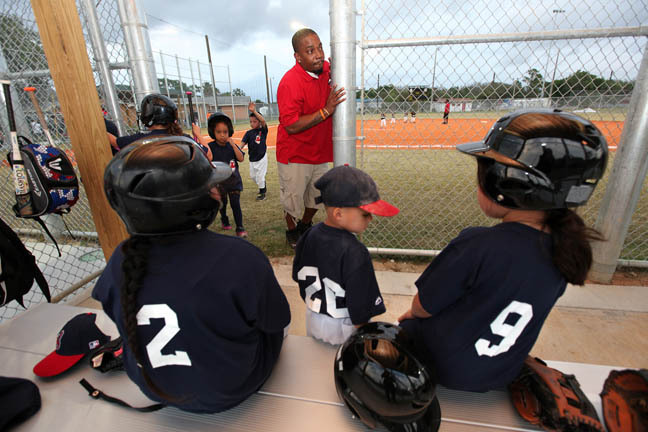 “The main thing to let happen for all the kids: Let each hitter make it to first base,” said head coach and Big Cypress Recreation coordinator Kelvin Robinson. Parents, grandparents, siblings and friends filled new bleachers flanked by roomy and roofed dugouts. Fresh orange clay glowed from home plate, past the infield and way back to the warning track. Ball park aromas, thanks to roller-fried hot dogs and other concession fare, wafted through the air. 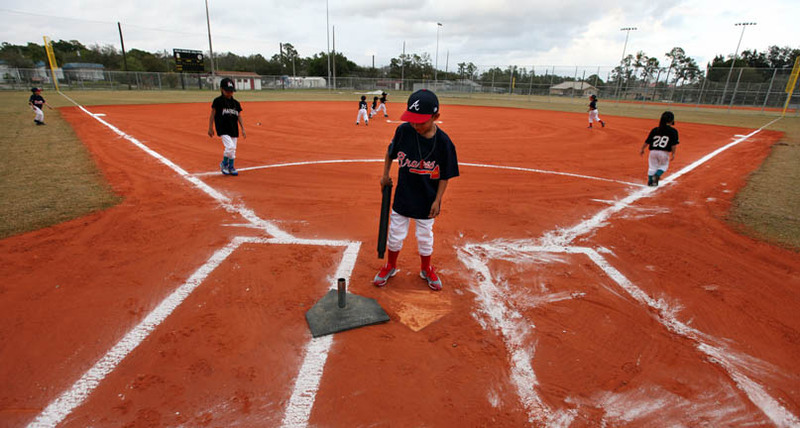 On the field, rice-white chalk lines that defined the diamond and batter’s box awaited pint-sized players dressed in bobblehead helmets and sparkling new Braves and Marlins uniforms. But the perfectly coifed field, one of two diamonds at the park that had been under reconstruction since 2013, lasted only minutes. Before the ump called “play ball,” the kids took the field by storm. Some ran the bases in no particular order. Some cupped handfuls of chalk and tossed it in the air. Some took apart the T-ball stand, put it back together like a stickman, then took it apart again. 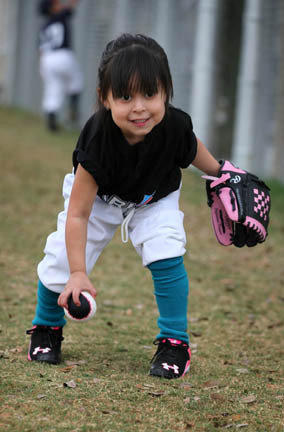 “I’m too tired to play anymore,” said Teena-Maree Covarrubias in the midst of the playful melee. 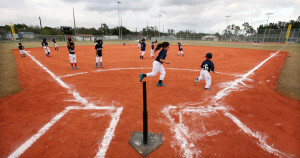 But as soon as the first ball was whacked, teams shifted into the T-ball groove as spectators cheered all the hits and runs.